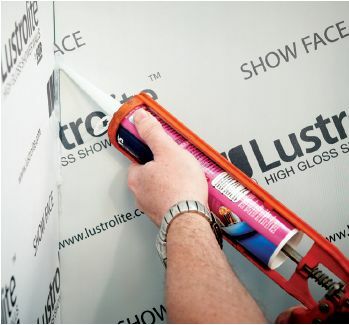 Lustrolite is easy to work with and is fast applicable on new or old wall surface finishes. Can be cut or drilled by woodworking tools. Standard panel installation takes a third of the time which would be required by installation of a ceramic panel. Joints can be disguised by transparent or coloured silicone.